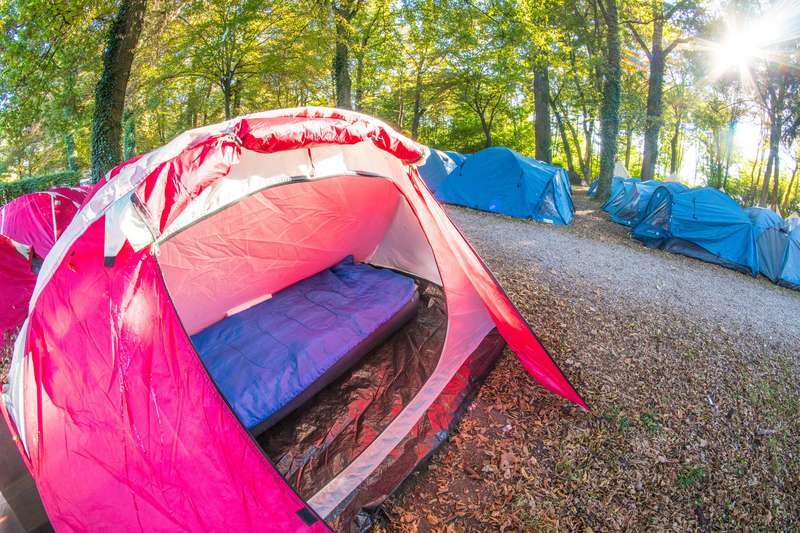 Haro All-Inclusive Camping offers accommodation in Haro located in the La Rioja district of Spain. 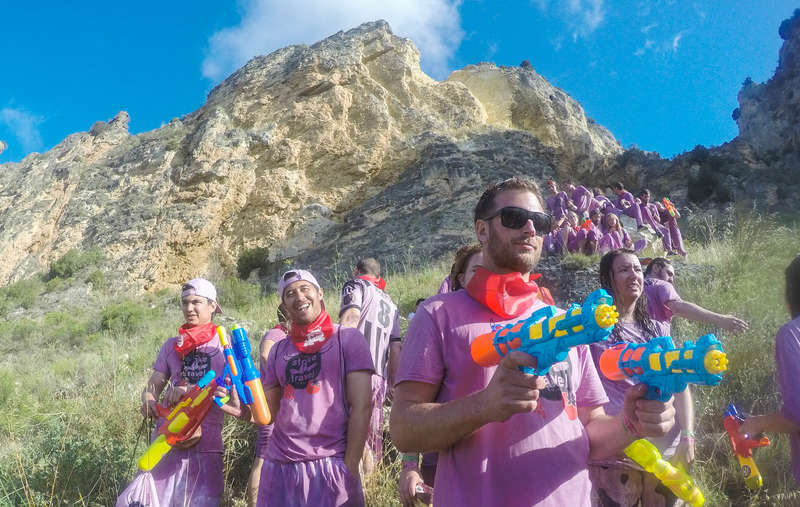 This is one of the world's great red wine regions and is also known for La Batalla Del Vino also known as the world's biggest red wine fight! 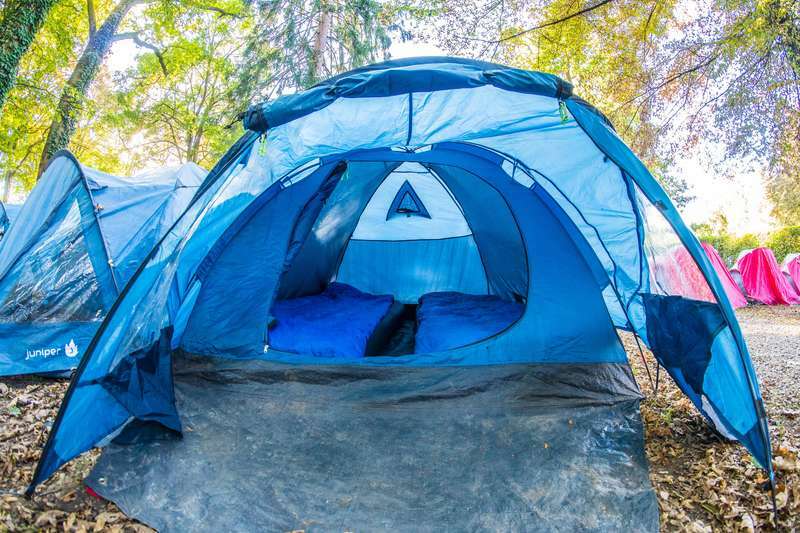 The Stoke Travel campsite is the perfect place to both party and prepare for the wine fight with an onsite pool to wash after the vino afterwards. Set by a river at the base of the hills where the battle takes place, surrounded by vineyards, the campsite is where we sleep in pre-erected tents, and party with live international bands, and DJs. As always Stoke Travel will be hosting the biggest party outside of the party with hundreds of like-minded international travellers, and unlimited beer and sangria on offer for just €10 a day. Our all-inclusive package includes your stay in pre-erected tents with camping mattress and sleeping bags, a delicious, cooked breakfast and dinner each day (dietary requirements can be catered for), Stoke Travel guides to show you where, and how, to battle, lots of red wine to throw and our famous campsite party for before and after the battle. Check Ryanair, Easyjet and Vueling for cheap deals. There’s always plenty of cheap deals. From Bilbao airport there are regular buses to San Sebastian. To get to San Sebastian from Biarritz International Airport take a French SNCF train to Hendaye, change to the nearby Euskotren station (located just outside the SNCF station) and take a Euskotren to San Sebastian. Each train ride is between 30-40 minutes, with the total train trip cost less than €10. A coach service also exists between Biarritz airport and the Hendaye train station, via Saint-Jean-De-Luz (change buses there). The coach ride is less than one hour and costs about €4.